I don’t think you can have too many good quinoa salad recipes. 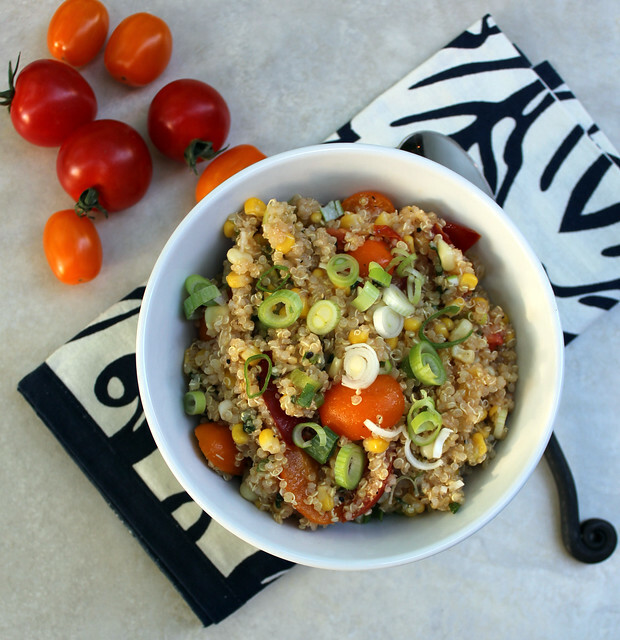 This Quinoa Produce Salad is perfect for summer. 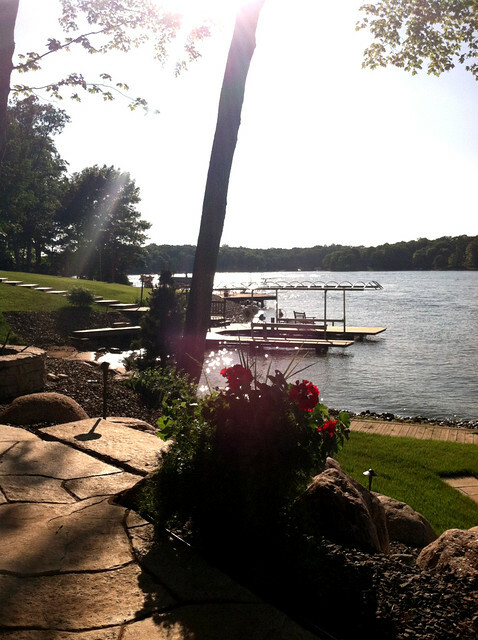 It finally feels like summer around here! 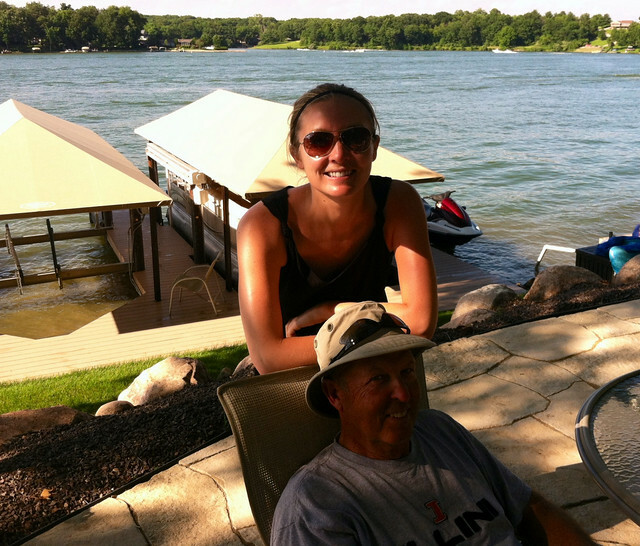 I had a wonderful weekend celebrating Father's Day and all things summer. My dad came home from his week of fishing in Manada (more appropriate than Canada). Apparently he caught so many fish his hands hurt from reeling and cleaning the fish. 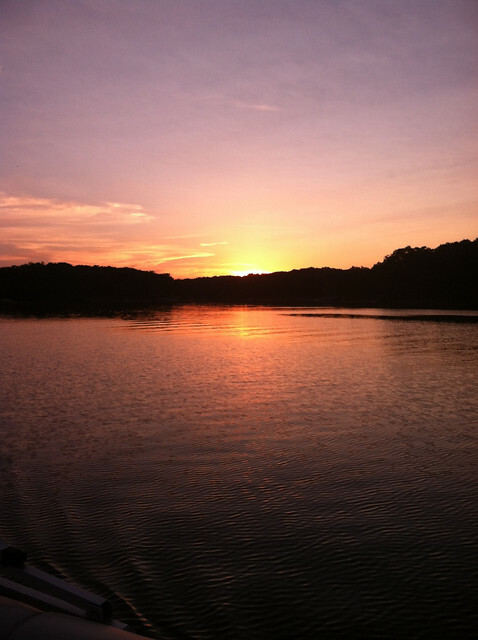 We did all of our favorite warm-weather activities like boating, swimming (more like bobbing on floats), sunset cruises, grilling, and doing everything we can outside. 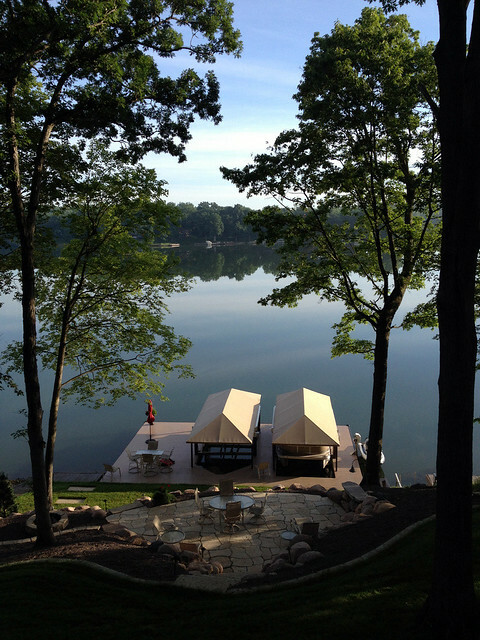 It was a perfect weekend. 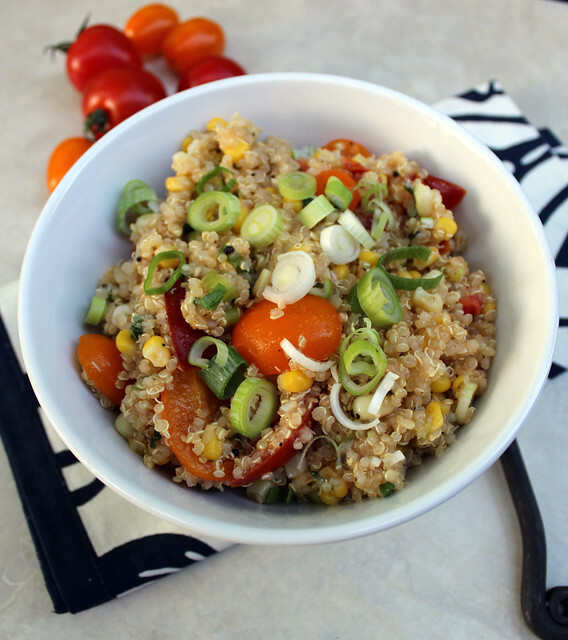 Quinoa Produce Salad is filled with fresh ingredients like multi-colored grape tomatoes, corn, green onions, and basil. It is simply dressed with a little olive oil, lemon juice, and salt and pepper. You wouldn’t think that something so simple could be so tasty. I love the slight sweetness from the corn and nuttiness of the quinoa. You could easily adapt this recipe by adding other favorite produce like roasted asparagus, edamame, roasted peppers, or other fresh herbs like tarragon or thyme. This healthy and delicious salad is going to be a regular on my summer menu! Add the quinoa and chicken broth to a saucepan and bring to a boil. Reduce to a simmer, cover, and cook for 10-15 minutes or until the liquid has been absorbed and the quinoa is al dente. Allow to cool slightly. 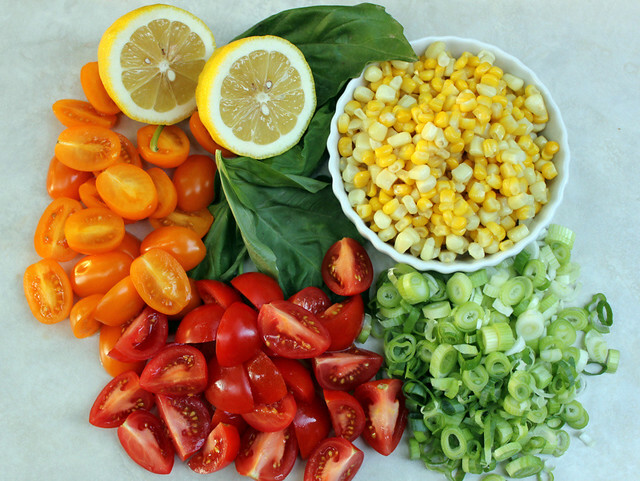 Place the cooked quinoa in a large bowl, add the corn, green onions, tomatoes, and sliced basil. Stir with a spatula to combine. Pour in the olive oil and lemon juice and stir until evenly coated. Taste for seasoning and add salt and pepper. Quinoa is the new couscous! I love that stuff. Let me know if you try it! I made this the other day! Delicious! I added diced green pepper too. Thanks for the recipe.